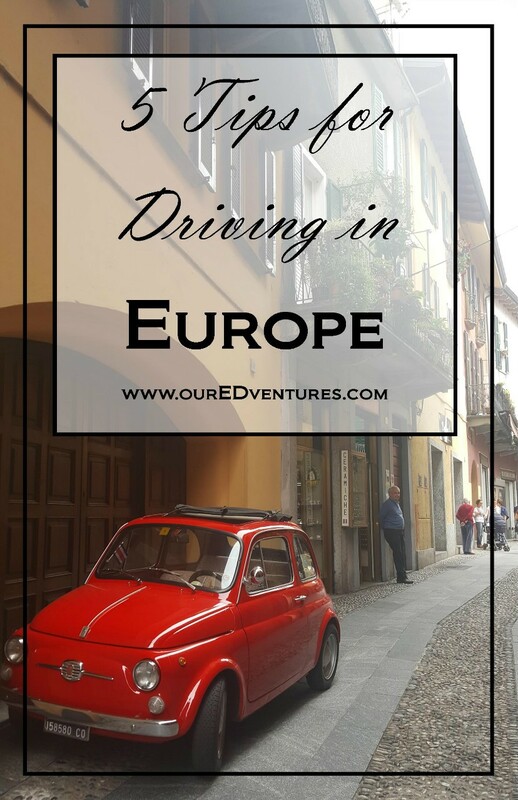 If you’re thinking about driving in Europe on your next vacation, be sure and read this post with tips for having the best experience possible. Our family just returned from a 30-day road trip through Europe and once again enjoyed the convenience and ease of having our own transportation. 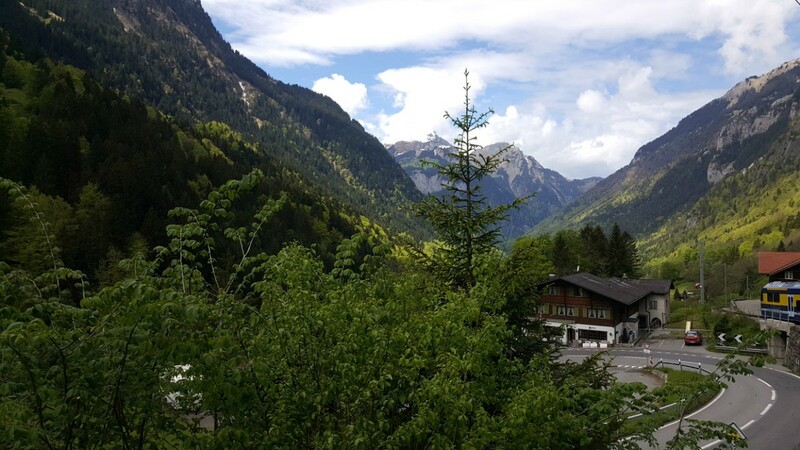 Follow these 5 tips to make the most of your self-drive European road trip. This seems like a funny place to begin a post with ‘5 Tips for Driving in Europe’ but it makes the most sense to me to start here. And here’s why. Europe is incredibly well-connected with public transportation and if taking it is an option, it should always be considered first. Look at the places you are planning to visit, where they are located in relation to each other and whether or not public transportation is an option. If you are mainly going to be in large cities, I would advise against renting a car. It will only be a hassle to drive in the city, pay for parking and then you won’t even need to use the car while you’re there. If your itinerary has you visiting a few large cities, consider planning those for the beginning or end of your trip and don’t rent your car until you’re leaving the city. Last year in London we obviously didn’t want to have a car while in the city, but picked one up on the day we left for the Cotswolds. This is not a sponsored post, so let me begin by making that clear. But we love AutoEurope and I highly recommend choosing them. In fact, we’ve never received any compensation from them at any time. But we have used Auto Europe on many different occasions and over many years and have always had a great experience. AutoEurope has an easy-to-use website for booking your travel. Their offices are conveniently located across Europe in airports, train stations and city centers. We have found their prices to be fair and competitive. They partner with all the major car rental companies to bring you the best price possible. On a couple of occasions when we’ve needed to either call them before leaving for a trip or while traveling in Europe, we’ve always found their customer service to be top notch! One of the great things about a self-drive trip in Europe - pull over anytime you want to stop for a picture! This may not be necessary, but let me tell you about our experience and then you can choose what’s best for you. With over twenty years of European travel and more than a dozen road trips in Europe, I have to confess that we have rarely applied for and taken an International Driver’s Permit with us. And to top it off, no one has ever asked to see one. The rental car offices have never asked to see an International Driver’s Permit. All they’ve wanted is our California driver’s license and a credit card. To be fair, we’ve also never experienced a traffic violation or car accident either where we may have been required to show it. Getting one is quite easy though, so if you like to err on the side of caution, I would suggest getting one for peace of mind. Print off an application here on the AAA website and follow the simple instructions. They do not process these applications in office, you must mail it in. 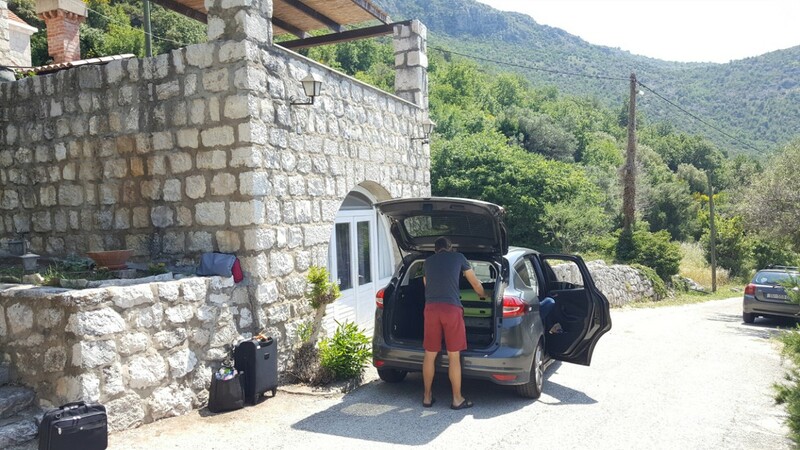 In front of our villa in Croatia - packing up and heading to the next destination. Some countries require you to purchase a vignette (a sticker for your windshield) and some countries have toll roads. Research the country requirements before you travel so you know what to expect and can be prepared. 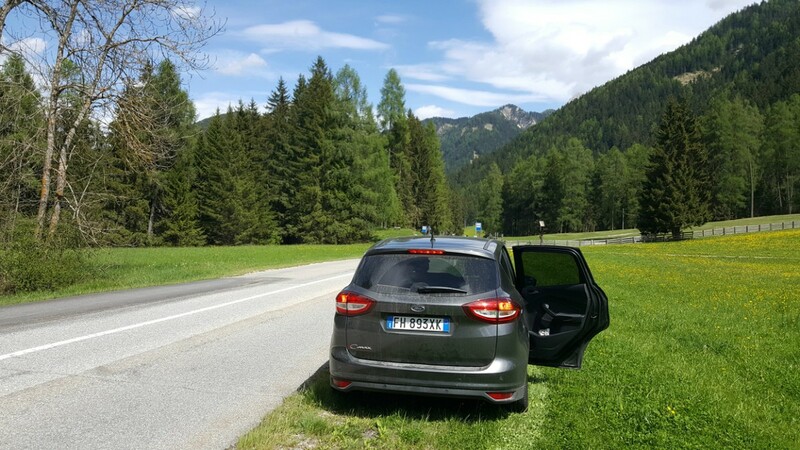 On our recent road trip through Switzerland, Italy, Slovenia and Croatia we experienced both. In Slovenia for example, we knew they operated with vignettes so as soon as we crossed the border we stopped at the first gas station we came to in order to purchase one. It cost less than 10 Euros and was good for 7 days. Other countries that require vignettes are Austria, Bulgaria, Czech Republic, Hungary, Romania, Slovakia, and Switzerland. Toll roads exist in a number of countries in Europe and take the place of the vignette and depending on how much you use them and how far you travel, can cost you quite a bit more. While we were traveling in Croatia, we mostly used the toll roads when driving a long distance. These highways are well-built and great for getting someplace fast. Since we traveled from the north end of the country to the south end and back we definitely benefited from these modern and nicely constructed road-ways, but we paid for it also. In a week’s time we spent nearly 60 Euros on tolls. Thankfully, all toll booths that we encountered accepted credit cards. Parked in front of our Bed & Breakfast in Appenzell, Switzerland. Driving in Europe is very much like driving at home (except in the United Kingdom and Ireland of course – but also doable and a lovely experience). So if you’re feeling nervous about driving in Europe, let me put your mind at ease. You’ll feel VERY comfortable out in the country on small village roads, but even near the larger cities, the on ramps, exits and freeway interchanges feel very much like they do at home. But to be best prepared, know the laws of the land. Make sure you pay attention to speed limits and one-way roads. Know how to navigate a traffic circle or round-a-bout. Should you run out of gas or get a flat tire, know about the requirements of wearing a yellow vest and setting out flairs. Ask questions when you pick up your car so you know what you need to know. 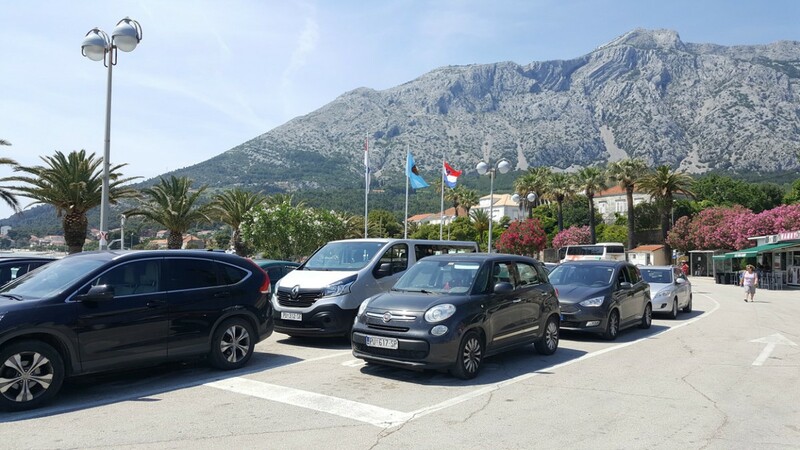 Even taking our car on the ferries in Croatia in order to visit islands was easy! Random Tip: Okay this may be completely random, but it’s happened to us a couple of times and I know of a number of people who have shared the same experience. 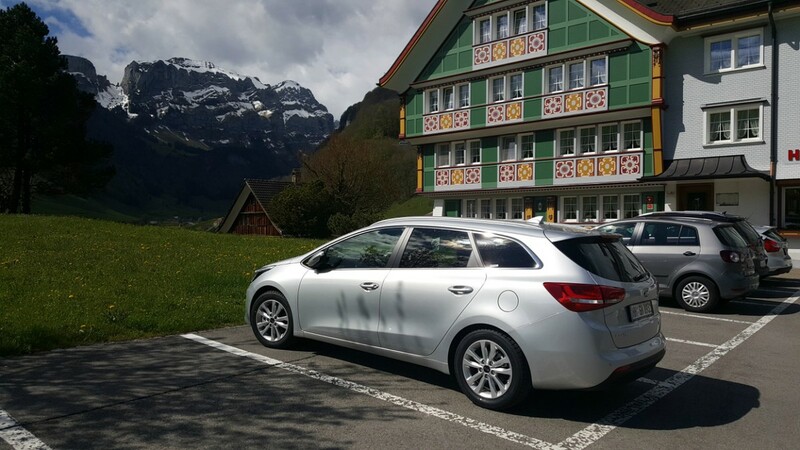 With most car rentals in Europe, you’re likely to be driving a manual car and you probably haven’t driven one since your teen years, right? For some reason, how to get the car in reverse has been a problem more than once for us (same family, different people). It turns out, most European cars require for you to pull up on the shift in order to get it over into reverse. I don’t know if this makes sense, but if you can’t get your cute little Euro car in reverse, I guarantee it has something to do with this. Ha ha, we’ve had a few laughs over this one and even saw teams on the Amazing Race experience the same thing. It’s a Europe thing! Did I leave anything out? If you've driven in Europe what tips can you add?